There have been a number of very high-profile cyberattacks in the headlines in recent years, with some of America’s biggest companies – including FedEx and Boeing – affected by ransomware, hacks and data breaches. But it’s important to be aware that cybercrime is about more than these large-scale attacks, or attacks which only affect large companies and organizations. Businesses of all sizes can be vulnerable to cyberattacks – so it’s important to be prepared. In this blog, we’ll offer some suggestions on steps your company can take to bolster your IT security and reduce your vulnerability to cyber threats. Consider outsourcing– Depending on the size of your company, it simply may not have the resources and up-to-the-minute expertise required to deliver the highest standards of network security. In some cases, it can make sense to outsource this function to external IT security Having a specialist consulting firm deal with your business’s network security in its entirety will also free up your own IT team to concentrate on other core business functions. Establish baseline performance– Make the effort to establish what the baseline performance of your network looks like. Once you’ve done that, ongoing monitoring of its performance will allow you to quickly identify any potential deviation from normal, which in turn will allow you to identify the breach or breaches and react accordingly. Deploy SIEM tools– Security information and event management (SIEM) tools are designed to provide real-time analysis of any security events generated by network hardware or applications. Good SIEM tools provide continuous security monitoring, allowing threats to be quickly identified and responded to. SIEM applications can also log IT security data and generate reports for the purposes of regulatory compliance. Don’t neglect physical security– Among the talk of ransomware, cyberattack and compromised network security, it’s easy to lose sight of the fact that many data breaches are still the result of physical access to a corporate network or data center. This can take a number of forms, from employees acting either of their own volition or under duress, to criminals accessing premises either by deception or using a stolen or cloned ID or entry card. Physical security measures including secure entry systems, CCTV, motion tracking and facial recognition tools can help fight this type of infiltration. 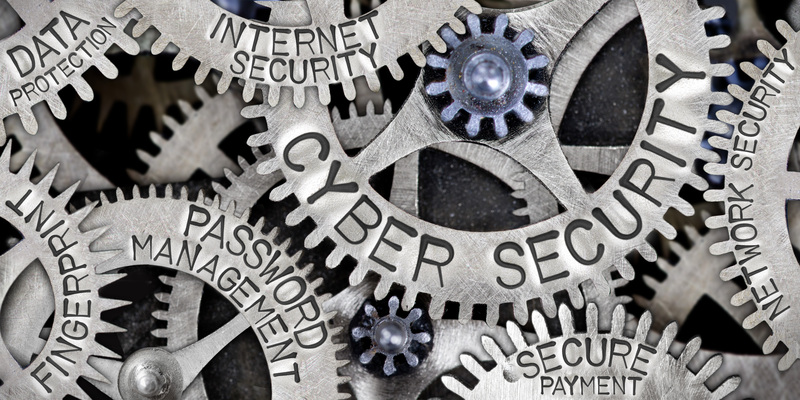 By implementing these four measures, you will be taking important steps to bolster your business’s IT security and protecting yourself from a range of potential security breaches.